Nothing can hurt your credibility more than constantly making spelling mistakes. Everyone makes mistakes from time to time, but there are certain errors that keep coming up time and time again. “It’s” and “Its”: The dog eats its food because it’s hungry. The possessive “its” has no apostrophe. Tattoo that on your brain with permanent ink. And speaking of apostrophes, they do not belong on plural words. “Rose’s roses were in full bloom.” Apostrophes are for (most) possessives, not plurals. “They’re” and “There” and “Their”. They’re not going there because their bus was late. Learn the difference and practise. And my biggest pet peeve, the unnecessary capitalization of common nouns. There is no need to put a capital letter on a word for emphasis. “I’m really Mad at Mary because she showed up late Again!” Only “Mary” needs to be capitalized in that sentence because Mary is a proper noun. Stop using caps on common nouns for emphasis. So why is a rant about spelling making it into a column on social media? Simple. Good spelling equals more credibility. No one ever winces because you spell something correctly, but if you’re trying to sell products or solutions to your followers, your ability to spell correctly can make a huge difference in how seriously they take you. Huge! I say: If you own or manage a company that employs someone who tweets for you or who manages your Facebook page(s), make sure their spelling is decent-to-excellent. Constant spelling mistakes make you look bad. Yours is the name associated with the atrocious spelling, not theirs. 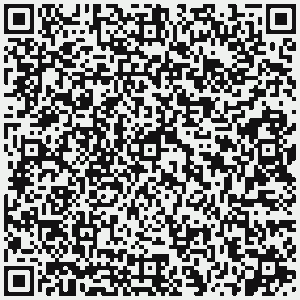 Scan this to find out what it says! You’ll be seeing more and more of these QR codes around in North America, including on business cards. Basically, it acts the same as a bar code – you know, the type of code that’s scanned on a can of food at the grocery store to tell you the price. A QR Code is square and full of white and black squares in a pattern that, when scanned with your smartphone, will give you a website address, a favourite quote or pretty much any other written information. The nice thing about these is that you can generate your own through any of the online QR Code generators available and cut and paste the code on your website or business card. It’s a unique way of telling people that you’re high tech! If you’re new to QR codes, download a free reader app to your smartphone to find out what it says! I say: Download a free QR code reader app to take full advantage of this emerging way of communicating information through smartphones. Is HootSuite’s “Insight” tab an invasion of privacy? For the past several months, I’ve been using HootSuite to manage various Twitter accounts. Its versatility, ease of use and well-organized screens (especially when managing multiple accounts) put it miles ahead of the more popular TweetDeck. Recently, however, HootSuite introduced a tab in personal profiles called “Insight”. The tab was meant to give you more information about either your account or the account you were following. Unfortunately, it also made information public that you had no intention of providing through your Twitter account. Apparently, HootSuite grabbed information available online (likely matching it to your account’s e-mail address) and automatically linked it to your profile. Here’s the problem: my Twitter account is personal. It’s branded as personal (me) or personal business (stuff I’m involved with outside of regular employment). What the people at HootSuite did, however, was design the Insight tab to go out and “grab” information from other online sources about you and insert it even if you didn’t want to attach that information to your personal account. My Insight tab ended giving my age, where I worked and other information I had definitely not given permission to HootSuite to publicize. While some may see this as giving more information about your account in order to give more context to your comments, in fact is does quite the opposite. I suggest that it gives false context to your comments because an account that is clearly branded as personal now has your employment attached to it and a bunch of other information even though you don’t want it there – and don’t need it there because you’re not tweeting on behalf of anyone else. While I realize the lines have blurred between personal and professional online, people do still have the right to do things as themselves and take great care at ensuring their employers aren’t connected to their accounts. What HootSuite did was impose that information in users’ Insight tabs, giving false context to their tweets — not more context. I was so appalled on the day this happened that I immediately cancelled my account and moved back to TweetDeck, much to my chagrin, because HootSuite is clearly a better platform. But here’s the ultimate issue: I have the right to tweet as myself. We all do. How can we do that if a platform such as HootSuite imposes information to be available through our accounts that we never wanted attached to our accounts? If you tweet something that is controversial or semi-controversial and your employer doesn’t have a problem with it as long as you do it on your own time and as your own person, great. The problem with HootSuite is that even if you’ve taken all the precautions necessary, the service still goes out and grabs it and imposes it into your account. This is just not right, especially if you haven’t noticed and aren’t taking this into consideration when tweeting. There were even reports that I read that had the Insight tab impose information that was blatantly wrong. This can cause a lot of anguish, especially if people reading your Insight tab believe everything there. And remember, HootSuite is doing this on their own without asking you first. So, unfortunately — at least for a few days — HootSuite was history for me. What a shame, too, because it’s miles ahead of TweetDeck, even though TweetDeck has many more users. My warning to all those HootSuite users out there. Go to your “sent tweets” index and click on your account name. Your public profile will then pop up. Click on the Insight tab and see what’s there. If, like me, you saw your age, employer, unauthorized photos, etc., take action. On the day I quit HootSuite, there was no opt-out option for the Insight tab. That has since been rectified, thankfully. I’ve returned to HootSuite — a platform miles ahead of TweetDeck on so many levels — and have opted out of the Insight tab. (You do this by clicking on the Insight tab in your profile and choosing the option to opt out.) It’s just too bad that they didn’t ensure this opt-out option was available on day one. I say: By all means, use HootSuite to manage your Twitter account(s), but make sure you know what’s in the Insight tab regarding you. My advice: Opt out immediately or be committed to checking it several time per day. You just never know what will show up. A blog post that an online friend made earlier this week really made me think. After much thought and contemplation, Ray Hiltz has finally started his journey into working full-time in the world of social media, blogging, etc. He’s articulate, thoughtful and can write. So, why not? Well, the fear of having to be perfect was holding him back in expanding his online efforts. I can certainly relate. But at some point, you just have to jump in and make your mistakes, learn from them and move on. The point is that no one has ever learned a lesson when they were being perfect. We only learn lessons from the mistakes we’ve made in life – and online. There’s nothing as sad as untapped potential, and it’s become abundantly clear that people with few technical skills and little money can now be in business for themselves online. Through the creation of information products, the promotion of others’ products through affiliate marketing, creating original content that others find useful, and by cross-marketing all of these initiatives through your blog, video and audio, you can make money online. You just have to do it. I’m no exception to this – and neither are you if it’s something you want to do. There are teenagers out there right now making good, legitimate, honest money online from doing just what I described above. They don’t know a world without the Internet. They’ll also never know having a boss telling them to be in certain places at certain times. They’ll get paid for their efforts. They’ll get paid for their ingenuity. And the more they do, the better paid they’ll get. For us older folks, making money online is a bit more of a challenge. Personally, I’ve made a little bit – and by a little bit I literally mean a little bit – of money online, but I know that the potential is for so much more. Content creators and writers have it easy in that department – they know how to write and it comes easily to them – but their lack of technical skills sometimes holds them back in their online business goals. Personally, Ray’s blog post hit home. I’ve been paying hosting fees for a new online social media-related blog for nearly a year. The fee isn’t a lot – about $10 per month, but $10 per month for something that’s not being updated is a waste of time and embarrassing, especially when the domain name is your own personal brand. It’s OK to make mistakes online. I rant often about mistakes made by others in their use of social media, but it’s the continuation of mistakes after they’re pointed out that is the real problem. Social media is so new to so many that we’re all bound to make mistakes. I’ve made them and will continue to make them, but that’s no excuse not to start. I say: If you have a company or are an individual who’s thinking of starting an online business, a blog, or diving in to the social media sphere, do yourselves a favour: just do it. When people point out mistakes, fix them and move on. The online world is not a place for perfectionists. Typos on websites can be fixed in 10 seconds and no one will ever know the difference, but not having a blog because you’re afraid of typos is like not driving a car because it might get a scratch. It’s going to happen. Just accept it and move on. You can correct typos and factual errors in a heartbeat – just own up to them. With each new social media network and handheld application that’s invented, new business opportunities arise. If you love coupons for free stuff and discounts – and who doesn’t – and you have a computer or an iPhone, then Tweapsave could be for you! If you’re looking to increase your customer base, then using tech-savvy people into your establishment by offering exclusive online savings may give you an edge on the competition! Tweapsave is a service that provides opportunities for retailers, restaurants and other service providers who use coupons to attract new customers and build customer loyalty using the power of social media. Companies pay for the privilege of providing the coupons (they would pay for printing or distribution through the mail anyway) and this gives them access to an unlimited number of customers for a set period of time. The number of coupons companies can make available (and for how long) depends on the package deal subscribed to. This is the perfect coupon service for those who’d rather save trees. You don’t have to print the coupon to show the retailer, you just show them the coupon on the screen of your iPhone. Of course, terms and conditions apply in order to prevent abuse. Company founder Lana Hansen tells me that bar codes could eventually be incorporated into the coupons for easy scanning and tracking by retailers. These aren’t your mother’s coupons! Gone are the days of getting out the scissors and clipping magazines, newspapers and flyers. However, if you want to print the coupon, too, that option exists. Sign up as a user at Tweapsave, search for coupons, place them in your cart and you’re done. You can use the coupons as you see fit. There’s also a very cool Tweapsave iPhone application, as well. Travelling on a budget or looking for special deals in the place you’re visiting? Search for Tweapsave coupons in the city you’re in and save some cash for other things… like staying an extra night in a hotel… and then search for a coupon for the hotel night itself. Or save money on a meal in a nice restaurant or at your favourite pizza place. The great thing about these coupons is that they can be shared through Facebook and Twitter. How cool is that? It’s a great way to build a customer base and following. Lana’s technical partner on the new venture is local Moncton company Trimedia Atlantic. If your company is looking for a cost-efficient and modern way of sharing coupons through social media, then check out Tweapsave. If you’re a consumer looking to save a few pennies without having to kill a million trees using printed coupons, then register at Tweapsave. It’s free! I say: Don’t be afraid of using online coupon services such as Tweapsave! They could save you a lot of money if you’re a consumer or get you a lot of new customers if you run a business!